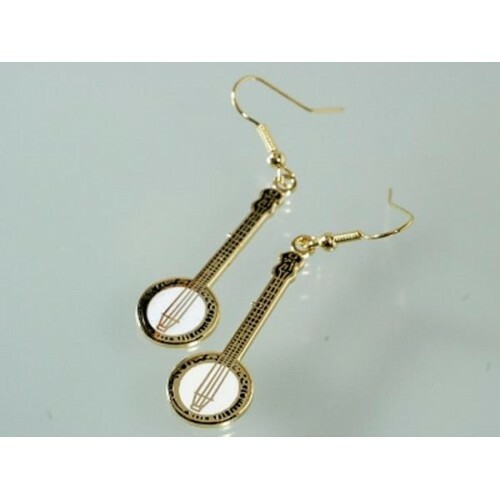 Earrings with banjo. Glossy white and black enamel. Gold-colored finish.